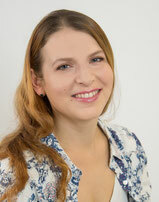 I am a postdoctoral researcher based at the Messerli Research Institute at the University of Veterinary Medicine Vienna, at the unit "Comparative Cognition", led by Univ.-Prof. Mag. Dr. Ludwig Huber. My research interests range from behavioural ecology over evolutionary biology, with particular focus on different aspects of mating systems and parental care.